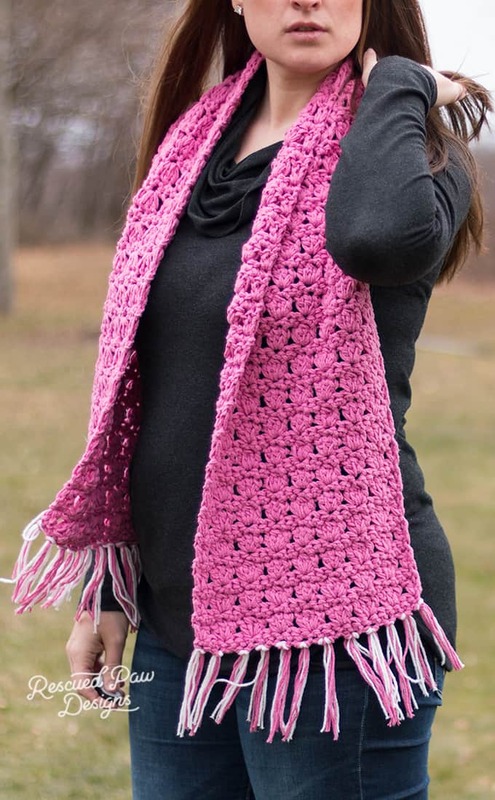 If you love chunky crochet scarf patterns (and cozy) then this one is for you. The whole pattern is worked up with just a 3 row stitch repeat which makes it work up super fast. 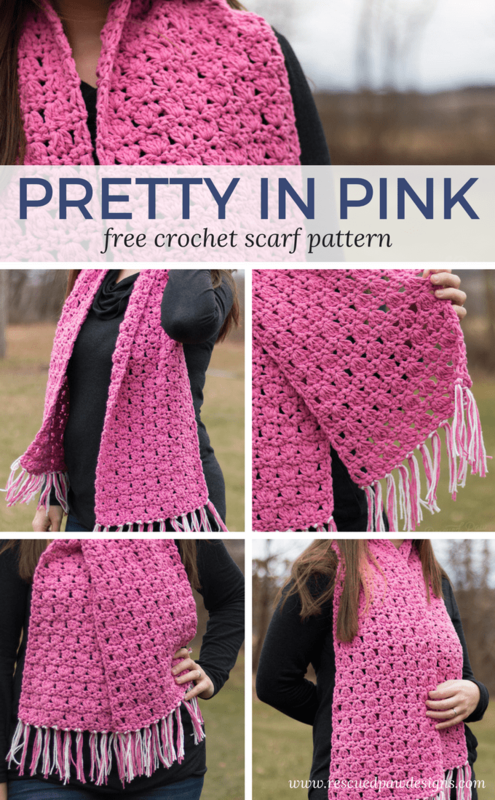 Read on down to get the instructions to make this fun (and free) pretty in pink scarf pattern! 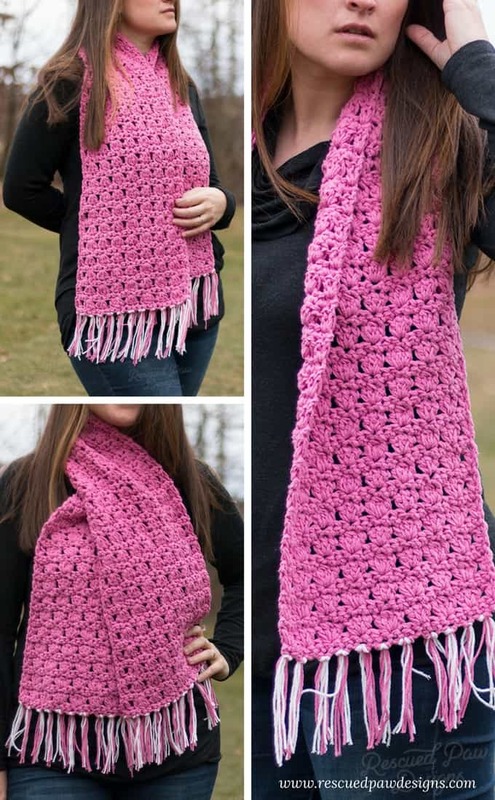 Great for all crochet abilities! 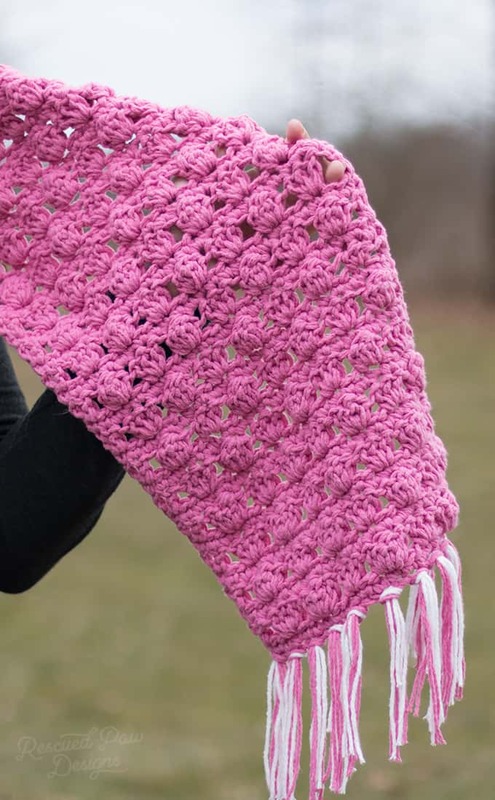 While this isn’t a beginner crochet scarf if you can get the first 3 rows I don’t see why a beginner couldn’t get the hang of it. 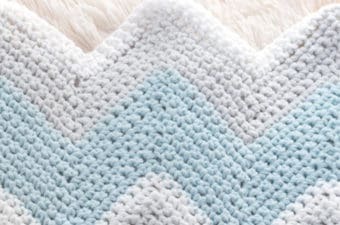 For that reason I think all levels of crocheters will probably love this pattern and be able to complete it! Yay to fun patterns! 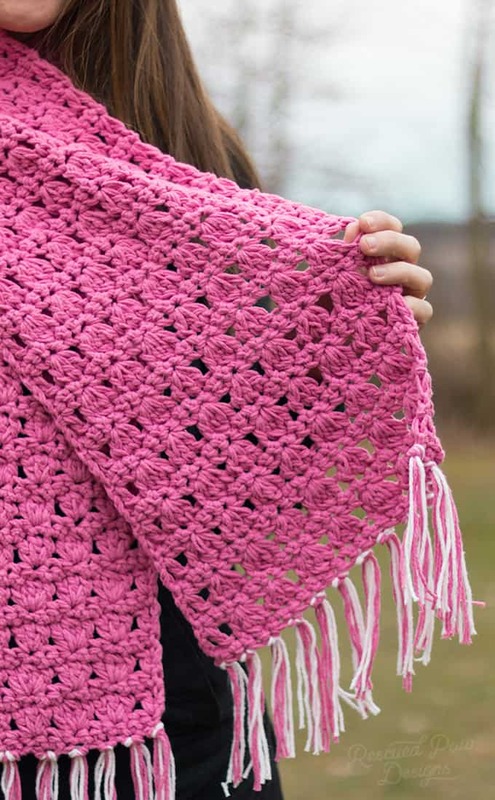 For this entire design I held two skeins of the Feels like Butta Yarn from Lion Brand Yarn together because I wanted to give it a tad more coziness and texture. It is pretty amazing! For real.. You gotta try it! This yarn is so soft and feels great against the skin! 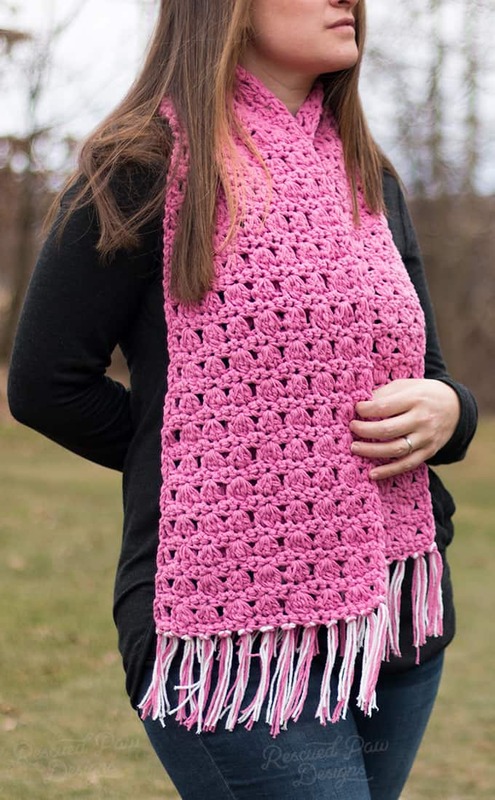 You will definitely have no scratchiness or irritation with this crochet scarf because it is one of the softest yarns from Lion brand! Just try it and you will know what I mean! 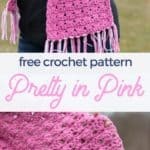 If you are ready to get started on this easy crochet scarf then read on down to find the full free pattern or Click the button below to get the PDF version that is AD & HASSLE FREE. 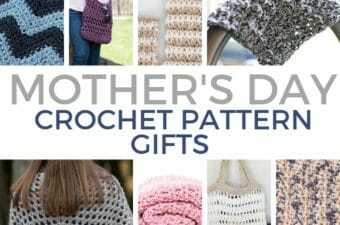 Thank you for supporting RPD and loving crochet as much as I do! 4 skeins of Feels Like Butta Yarn In Dusty Pink and 1 skein of Feels Like Butta Yarn in White. Be sure to check out my Amazon page where you can find all the products I use and recommend! Entire pattern is worked holding TWO skeins of yarn together at the same time. 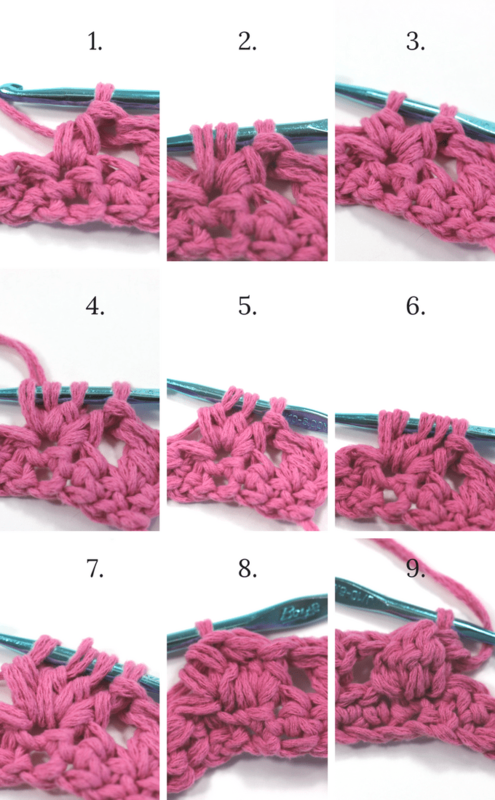 yo pull through all 4 loops on hook, then hdc in the stitch. Finishing: Fasten off yarn and cut with scissors. 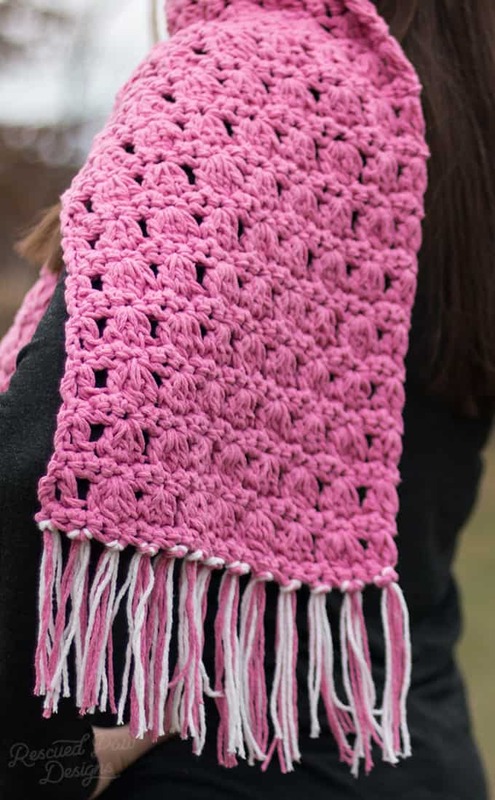 Weave in loose ends throughout with a yarn needle. 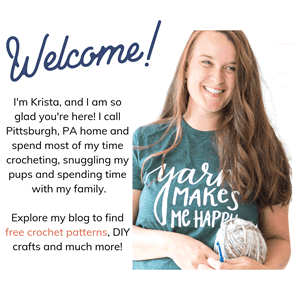 Follow along with me on Social! 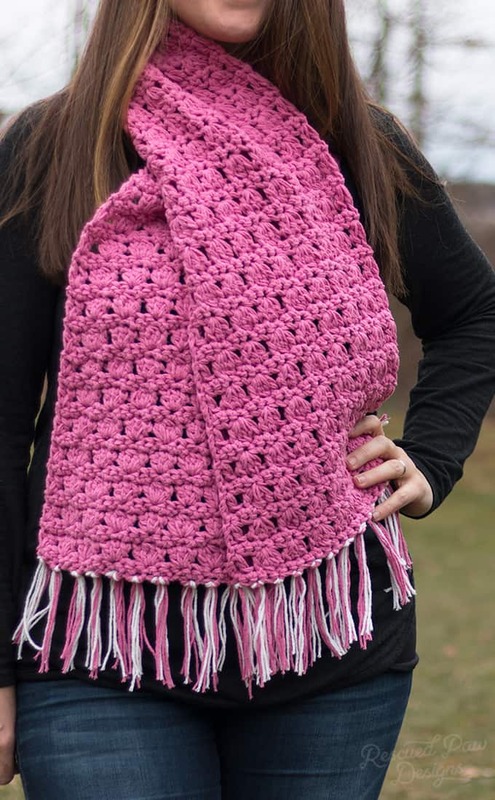 I hope you enjoyed this crochet scarf design and if you have any questions please feel free to leave a comment or send me over an email. 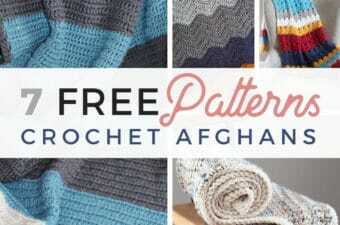 Want more free patterns? Be sure to sign up for my FREE newsletter. You can also find me on Pinterest, Instagram and Facebook too! Want a PDF version instead? Shop Below! 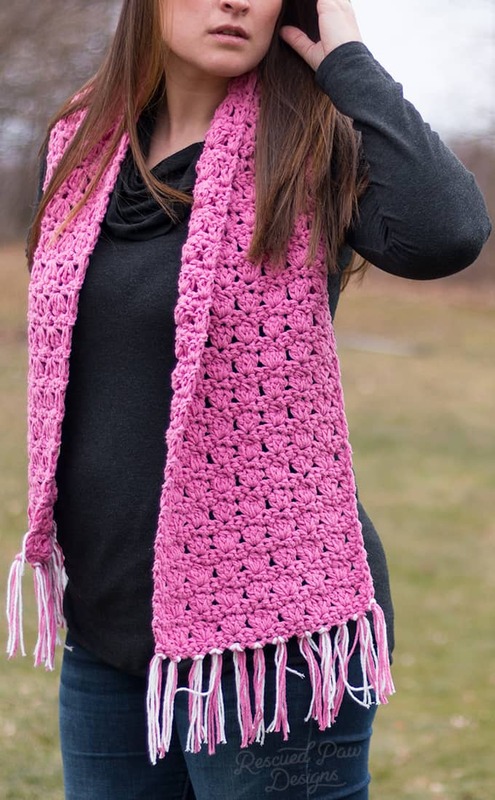 Love the pink scarf! Thank you for sharing all your beautiful designs!